Some places obviously know how to cook but, even more impressively, also know how to turn what would be a kitchen catastrophe everywhere else into their specialty. 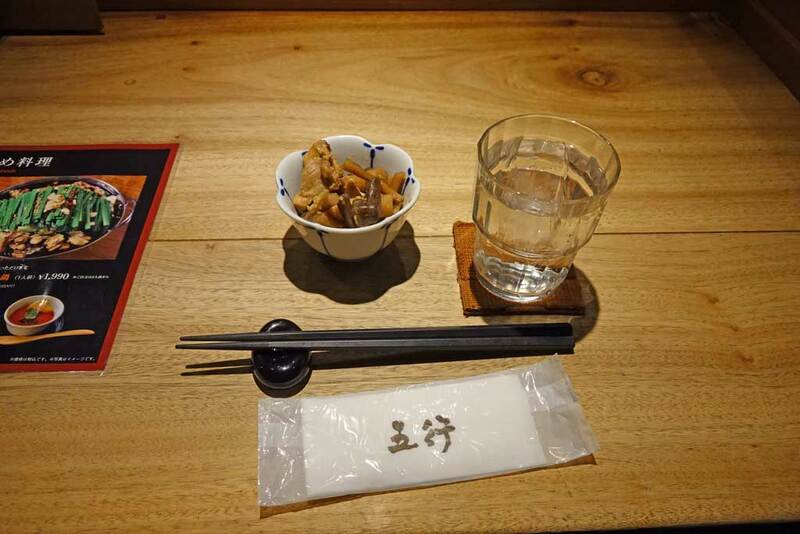 Gogyo Ramen, just a bit north of Nishiki Market in central Kyoto, is one such place. 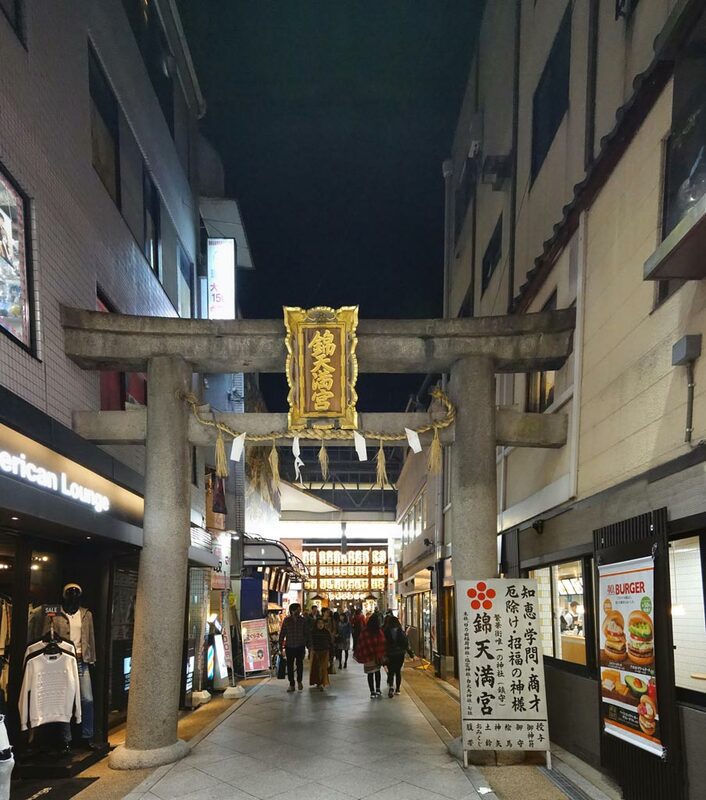 The area around Nishiki Market is quite fascinating. The major thoroughfare just south is highly trafficked, full of stores, home to several big department stores. Everything from the high-end to the hootenanny can be found, it would appear. Nishiki Market is mainly another small, covered road for pedestrians only (for the most part), with little eateries and food and ingredient shops. Quite a few pickles and spice sellers; some of them – or at least, their wares – I will have to talk more about. The small roads going north-south from the major road past (the road of) Nishiki Market and on are much less used, much more residential, pretty dark – but they also house quite a few eateries such as Gogyo Ramen. Gogyo Ramen was easily the hippest eatery I went to. The atmosphere is very chill, laid-back. I seem to have noticed that their selection of alcoholic drinks was pretty extensive (and if it wasn’t, it sure felt like a place for creative cocktails). The seating was soft and cushy even at the low countertop. They also charge a service fee, though, which most places I ate at didn’t do. 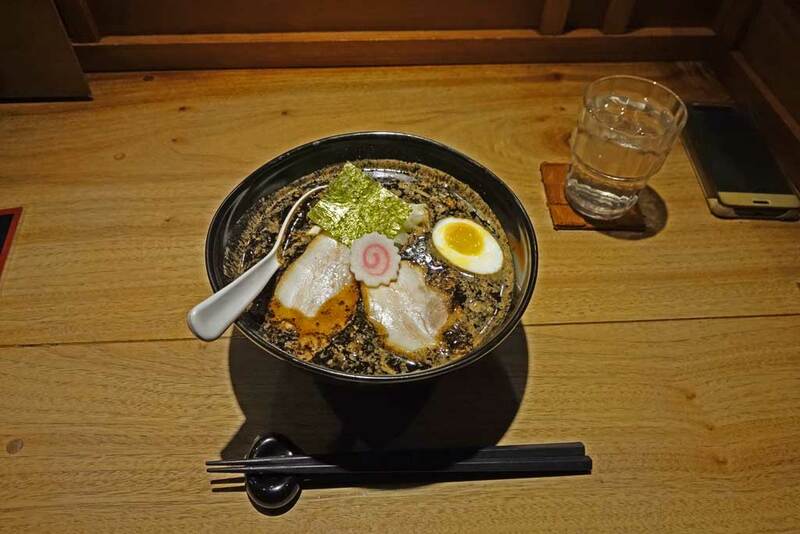 Gogyo Ramen’s signature dishes include the “burnt miso ramen” I had to try out. It sounded just too strange, but potentially interesting, to pass it up. As a side, I also got some chicken pieces and what I assume was some kind of root vegetable, but could have been something noodle/niangao-like just as well. Which is not a criticism. I do not know quite what all that was, but it tasted fine. Smokiness has become quite the trend, and that could have been interesting. The burnt miso in this broth tasted just like something left too long on the stove, though. Maybe this would work for people who have bought into the cleansing power of drinks with charcoal. I haven’t, though. I had coal pills against intestinal issues before, and they tasted considerably better than this ramen. The egg was just like it should be, the noodles were at the right consistency. The chicken-and-something side dish was great. I’m sure they make ramen that is really good. But their “burnt” flavors must go. People who think they taste good? No idea what they did with their taste buds.